You are here: Home / General Articles / Which Driving Habits Influence Your Auto Insurance Rate? Understand what factors to keep in mind that impact your car insurance premium. As many motorists know, auto insurers will look at a variety of factors when determining your auto insurance premium. 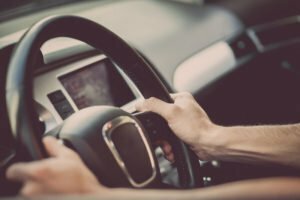 Many of these factors are habits that motorists get into, without knowing that it can directly impact their car insurance rate. Here are a few habits which affect the price you pay for an auto insurance policy. Quite simply, if you drive more miles every year, you’re on the road more. If you’re on the road more, you have a higher chance of being involved in a car accident. Someone who only drives 5,000 miles a year is going to, on average, pay less than someone who is driving 10,000 miles annually. Are you notorious for getting a traffic ticket? If you run red lights, speed, or fail to stop at stop signs, you could see your auto insurance increase. This is because auto insurers translate this behavior into being risky on the road with a higher chance of being involved in an incident. Do you lend your car to your roommate? Sibling? Cousin? Many auto insurance companies are beginning to exclude or include drivers on policies, meaning that you must list who uses your car. Allowing someone with a bad driving record to drive your vehicle could cause your rates to increase.